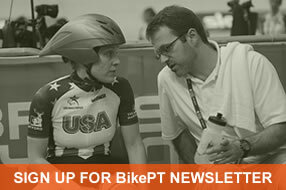 BikePT is the definitive education source on bicycling related injuries, treatment, and bicycling biomechanics, for healthcare professionals and all bicyclists. Learn about our all new immersive course covering a full range of topics designed to expand your skills as a physical therapist working with mountain bikers. By popular demand, we have more classes for physical therapists than ever before, including BikePT Bronze, Silver, and Gold, as well as our Mechanics Class and Mountain Bike Immersive Course. Why do we ride bicycles? Finding the perfect bicycle can take a little research, but it's time well spent. What's the first thing to think about when considering a new bicycle purchase? Flexibility has gotten a few knocks in the common press as of late. The knocks have come in relationship to the use of stretching before an event to prevent injury during that event, but the numbers don’t lie. BikePT is emailed quarterly. Thanks for signing up!